Industrial Cleaning – Watt Commercial Sweeping, Inc.
Don’t let the title and description of parking lot sweepers fool you! We are not limited to just surface level lots. 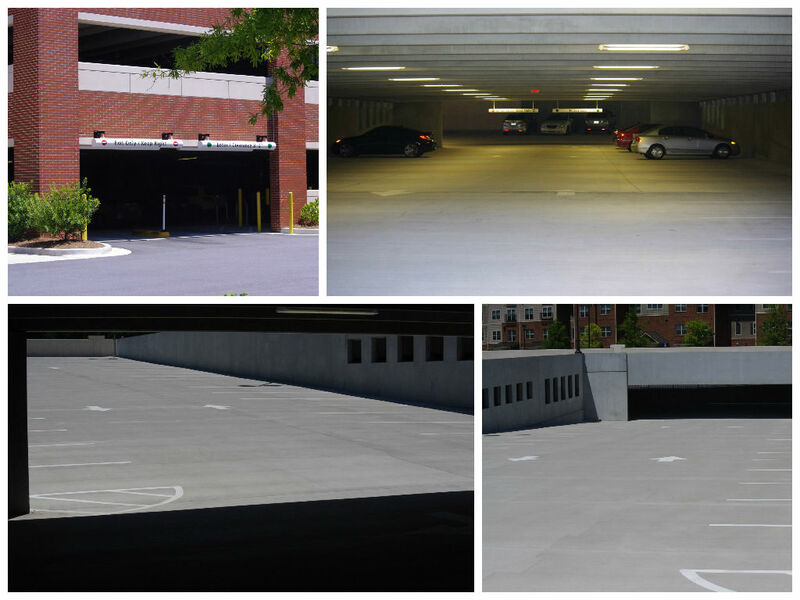 We have professionally modified trucks that are low enough to drive into any parking deck or garage in Atlanta. Low hanging plumbing, tight spaces and any other obstacle is easily overcome by us with our multiple options for equipment. In the rare event that it’s just too close for comfort, we can use our warehouse and garage Tennant sweeper/scrubber. Give us a call today to service your property after a free estimate! 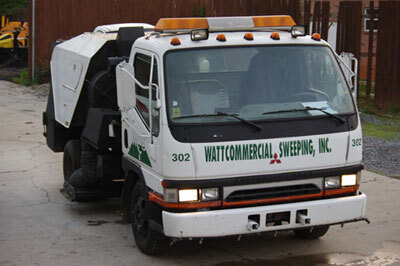 What’s the difference between Watt Commercial Sweeping and any other sweeping outfit? Nothing, right? Trucks are the same, work the same way, anybody can run one…. This couldn’t be further from the truth. Although we do have units that others may also operate and the act of sweeping, itself, doesn’t vary much, what we have that others don’t is what sets us apart from the rest. To point out these qualities is not to speak poorly of others but more so to emphasize how we strive to be better for our existing and future customers. We aim to have 100% consistency. 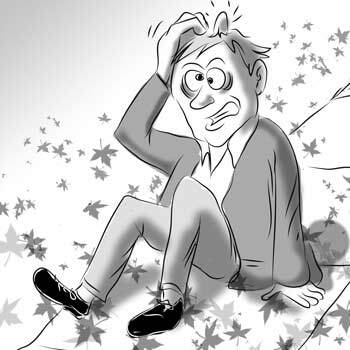 Not including justifiable failures, we deliver services as scheduled, whether it is routine service or on call service. There is no need to wonder if the service promised is done. Not only will it be clearly noticeable by the way the property maintains it’s cleanliness but if there were any doubt, we can provide route verification via hard copies and third-party GPS tracking. Each unit has a vehicle monitoring system that allows is to verify location, speed, productivity and execution. Attention to detail is the biggest differentiating factor. We are not satisfied with a lot that ‘looks clean’. We never arrive at any of our customer’s properties and leave without servicing, having deemed it ‘clean’. With our regularly maintained and replaced backpack blowers we move through each and every parking lot and extract dirt and accumulation from all curb lines, building perimeters, nooks, crevices and areas our sweepers are unable to drive into. Our regenerative air systems blast airflow down on the surface breaking loose build-up and in the same motion redirecting it up the chute and into the hopper. We thoroughly sweep the entire property leaving it cleaner than first appeared. Eliminating the ‘Figure 8’. Undoubtedly, everyone has seen the late night sweeping unit doing figure 8 maneuvers and practically doing donuts to chase down litter. Although it is clear to spectators, the operator, while focused on the litter, fails to see how reckless he/she is being. We have eliminated this by training our drivers to use the truck and the direction in which it moves air supply. Keeping litter to the side of which the air is moving we maintain straight lines with fewer turns, constantly closing in on the litter. Much like you’d move your lawn, slowly moving towards the center. Together with the detailing blowers, this practice allows us to cover every square inch of the property while maintaining a safe distance from all stationary objects and vehicles parked within the lot. Our employees are top-notch! Each and every employee is dedicated and committed to performing their duties proficiently and proudly. They too understand that every customer is as important despite the size of the property. Without our employees we would not be able to offer the quality service we provide. During every route our goal is to arrive at each property and clean it. We never arrive to simply sweep; moving rapidly through each lot, working anxiously to chase down only the visible litter so as to quickly finish and move on to the next lot. No, we come in to each property to service it-clean it; whether the service agreement calls for it or not, we detail with our blowers, remove visible litter from landscapes, clean off property and business entrances and exits. Our attention to detail is second to none. When leaving your property there will always be, a guaranteed, cleaner parking lot. The implemented guidelines for servicing collectively provide the difference between our cleaning service and the other company’s sweeping service. To schedule a free estimate or to schedule a service contact us today! We are pleased to announce the launch of our brand new website. We have been in business for a long time and embraced the internet age many years ago. We have been working hard building the size and scope of our street sweeping business, taking on larger and larger clients, while still being accessible (and affordable) to smaller ones. We believe that we are Atlanta’s premier commercial sweeping company due to our dedication to service. While we spent our energies building the company to where it is today, the age of social media has exploded around us. We realize many people today find information on their smart phones and tablets nearly as often as their home computers. Thanks to social media, referrals take place in real-time, across a wide spectrum of interactive sources. We wanted to make sure we stepped up our own online presence to take advantage of those sources. We have weathered the economic hurdles of the last six years better than others in our industry. Stepping into the social media age with the new site and social media integration is just another sign of our continued growth and with this growth comes some great forward momentum. Take a moment to LIKE us on our business Facebook page and FOLLOW us on Twitter. You can also SUBSCRIBE to our blog page. We would also love for you to take a look around our new website and read about all of the services we provide. As we continue to move forward as one of the premiere street sweeping business in the metropolitan Atlanta area and surround counties, we hope you will give us a try. From litter to dirt to gravel, we have the correct sweeper to get the job done right. Our methods are always in accordance with the best industry practices. Call us today at 770-433-8089 and see what we can do for you.